Length: 5 hrs. 38 min. 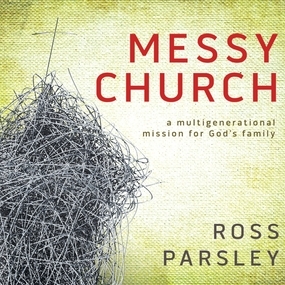 You are in the family of God... it can get messy. When you look at your church today, what do you see? A social organization that does good things for the community? A religious corporation with a CEO at the helm? A spiritual and self-help counseling center? Pastor Ross Parsley believes that none of these ideas captures God’s design. Instead, God sees us more like a family—a multigenerational group of real people who love each other and care for one another’s needs, no matter how messy. We are not consumers asking what the church can do for us. We are family members learning how to love deeply, fight fairly, and share selflessly with others. Imagine the generations working together, combining the experience, wisdom, and resources of age with the strength, enthusiasm, and innovation of youth. It’s messy, but full of hope and healing for a generation starving to belong to something greater than themselves. Welcome to the family. You belong here.